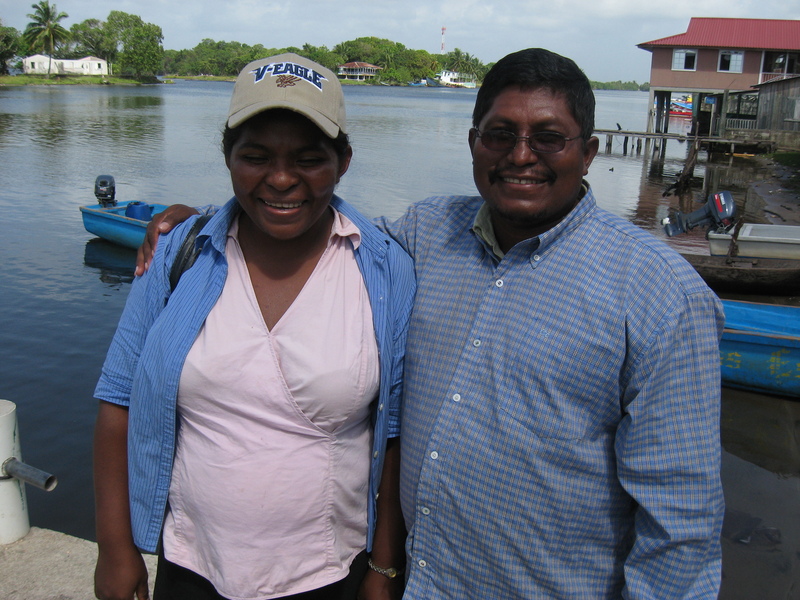 Pastor Ludy and his wife, Mordicia, have been serving the people of the Mosquito Coast for many years. Even though Ludy grew up in the area of Raya and Benk, it was a huge adjustment for even him to move from the city back to the bush. After a few years in La Ceiba, he and his wife felt lead to return and establish a church in Raya. That church is now being pastored by his father, Don Marcos, and Ludy has since planted several other churches and home fellowships in the vicinity. Ludy spends much of his time teaching and sharing. Wednesdays are Bible study days. o a group of men, Ludy teaches throughout the day, sharing who Jesus is and what it means to follow Him. He also shares how to teach the Bible and how to disciple others. the long flights and waiting in airports is the difficult part. Its all downhill from here!